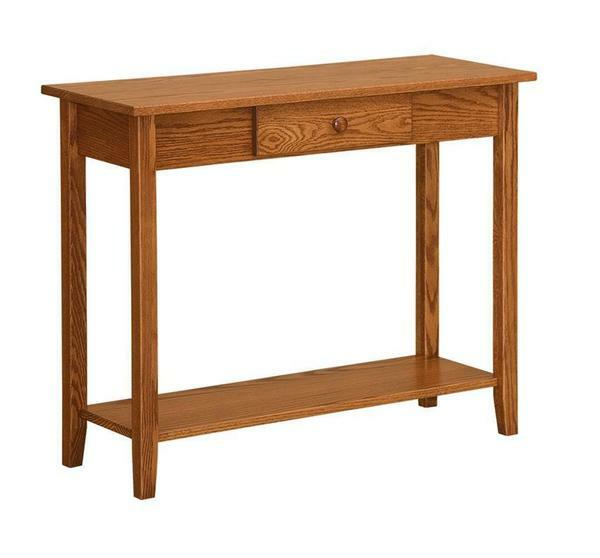 Bring classic Shaker style into your living room with our Amish Furniture Living Room Shaker Table! Our Amish Furniture Living Room Shaker Hall Table is a true heirloom Amish furniture item! This Shaker Hall table has one dovetailed drawer with full extension drawer slides. The bottom open shelf is a great place to display collectibles, books or magazine. This sofa table is shown in oak wood with a harvest stain but other woods and finishes are available.